UMD is on a five game unbeaten streak and maybe just in time. 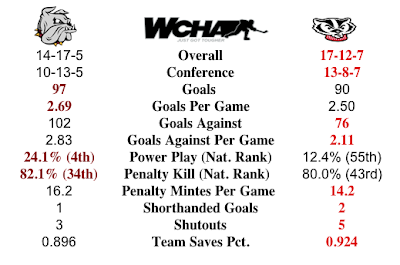 The Bulldogs embark on their last chance to keep their last WCHA season alive when they travel to Wisconsin for a best of three playoff series. 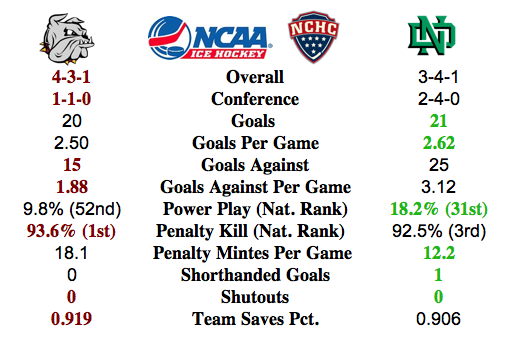 Although the Bulldogs are on an unbeaten streak, they are also 1-5-2 in their last eight away from Duluth. The Badgers and Bulldogs last met October 26-27 in Duluth. Wisconsin won 2-0 followed by a Badger come from behind 2-2 tie. How Wisconsin Wins. It is no secret that the Badgers look to slow things down and keep the game a low scoring affair. 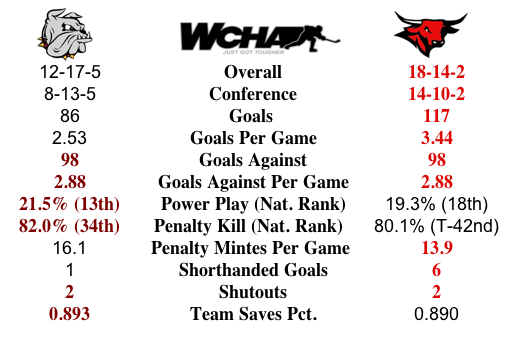 Wisconsin has the second lowest scoring defense in the WCHA. Goalie Joel Rumpel is the key in net. He has been the workhorse for the Badgers and has shined in the spotlight. His 1.94 GAA and 0.928 saves percent earned him a spot on the third team all-WCHA. What Holds Bucky Back? If the Badger defense stumbles, there isn’t much in the way of offense. Wisconsin has two players who have scored double-digit goals, Michael Mersch with 22 and Tyler Barnes with 10. When it comes down to it, stopping Mersch seems to be the key to stifling the Badgers offense. Nic Kerdiles has come on strong after sitting out the beginning of the season, he has scored six goals. Six doesn’t seem like many, but on this team, it is noteworthy. Bulldogs with Power. UMD’s current winning streak is being propelled by the resurgent power play. Over their last six games, the Bulldogs have gone 14 of 32 with the man advantage, 43.7%. Goal scoring leaders on the power play are the usual suspects with Mike Seidel leading with nine goals, and freshmen Tony Cameranesi and Austin Farley each with seven. Wild Card. Scoring chances are not plentiful against Wisconsin and UMD must make their chances count. 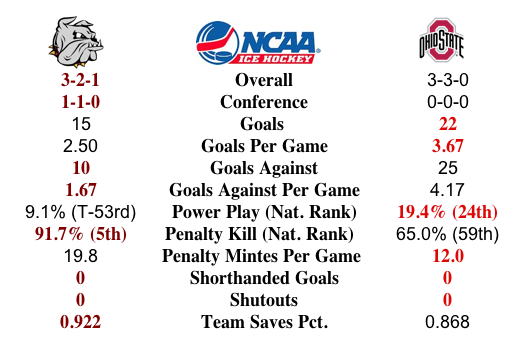 Additionally, if UMD’s backstop, likely Matt McNeely, doesn’t make the easy saves and some not so easy saves, it could very well be the last series for the 2012-13 Bulldogs. To take the next step in the season, UMD will need solid play in the net. The recent winning streak shows that the talent is there and this weekend would be a good time to keep it rolling. StatPack. 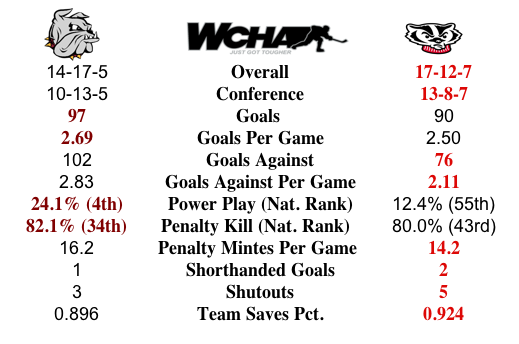 The Bulldogs and Badgers stack up statistically fairly even for a #9/#4 match-up. The Badgers did start the season slow, but have played well enough to secure home ice. A team like the Badgers who get 2.50 goals per game need the strong defense that allows 2.11 goals per game. 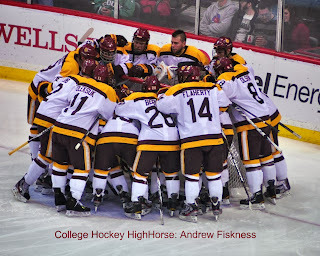 UMD jumped from #13 in the nation for power play to #4 over last weekend where UMD went 7 for 12 on the man advantage. 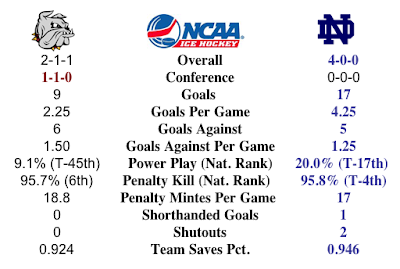 The Bulldogs are apt to get many shots per game and they will need it going against a save percentage of 0.924. Outlook. It is an interesting season to look at playoff upsets. usually there is at least one, but this year the top six look strong. Given a list of the top six, Wisconsin is the most vulnerable because they are so one dimensional with their defense. Around the WCHA and Picks by @afiskness. 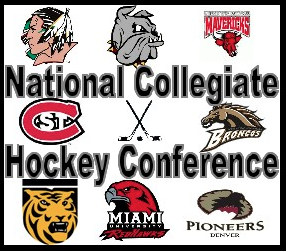 This is the final WCHA playoffs for many of these teams and it would be a great bragging rights for the victor. There was a lot of parity in the league this past season making this playoffs wide open. Every year there are upsets in the playoffs and I am sure there will at least one upset this year. Will it be a team that is hot staying hot or the sudden change for a team that is ice cold? The key is to guess the correct game. I think the three middle seated series are the most likely for upsets. 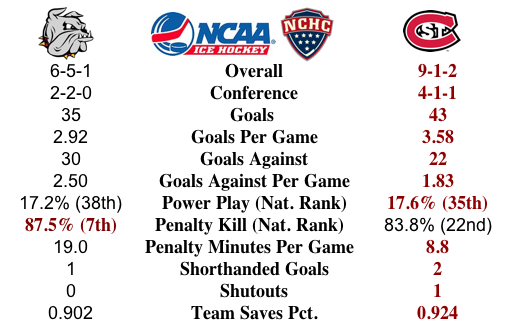 #12 Alaska - Anchorage at #1 Saint Cloud State: The Seawolves have pulled out some stunners on the road in the playoff, but this year that does not seam likely. 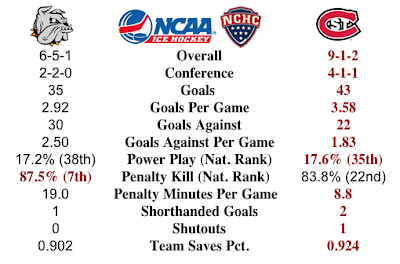 This series is so one sided in favor of the Huskies I will go with a Saint Cloud sweep. #11 Bemidji State at #2 Minnesota Twin Cities: The Beavers have played well in years past once the post-season began and this year will probably be no different. These are two teams that play two totally different styles. If the Gophers get sucked into the slow down game, the Beavers could find an upset. I don't think the playoffs will end this week for the Gophers as they sweep. 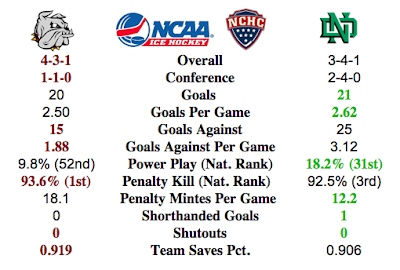 #10 Michigan Tech at #3 North Dakota: Both of these teams have great power plays and special teams can often decide games. The Huskies played very good in Saint Cloud and they always play hard when they are the underdog. I am going with North Dakota in three games. 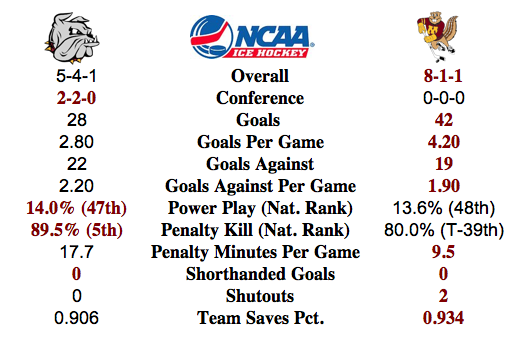 #9 Minnesota Duluth at #4 Wisconsin: The Bulldogs put up impressive numbers versus less then impressive opponents, but that is what a team is supposed to do. The Bulldogs may finally be playing the way the fan base thought they would this year. The Badgers will look to keep it low scoring and capitalize on turnovers. Goaltending will be the key. This series will go three games and either team could prevail. I like the way the freshmen have been playing for UMD recently, I think they will continue to put out and UMD will get the upset. 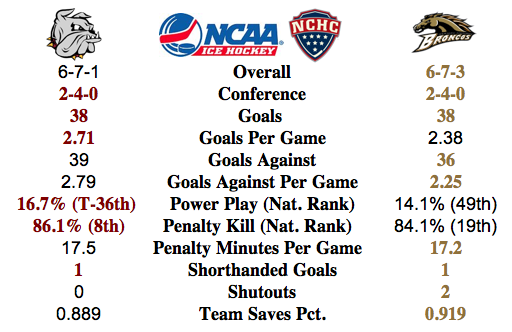 #8 Colorado College at #5 Denver: The tigers got three points of the eight in the 4 games played between these two teams this year, so it may be a very close match up. Both teams have had very inconsistent periods this season, so it will likely depend on which version shows up. I think I will go with the upset and the Tigers in three games. #7 Omaha at #6 Minnesota State Mankato: The red Mavericks are a cold as ice right now and going on the road for the playoffs was not in the game plan a few weeks ago. The purple Mavericks have struggled before in the playoffs, but this a much different team. Omaha's season ends as Mankato sweeps.